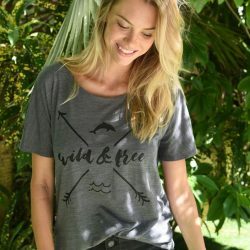 Save the Dolphins: Boycott Japan? Home/Blog/Japan/Save the Dolphins: Boycott Japan? We have received a great deal of international correspondence lately suggesting that we “Boycott Japan” as a strategy to solve the drive fisheries problem. Although we are not telling other NGOs what their strategy should be, I wanted to clarify that we think a boycott of Japan is a big mistake. Having been to Japan and witnessed the dolphin slaughter up-close and personal, we can report with absolute certainty that the Japanese people are not guilty of these crimes against nature. From what we saw, 26 whalers in 13 boats drive the dolphins into a cove and slaughter them. Another handful of people help in the butchering and selling of dolphin meat and the captivity trade. The vast majority of the people in Taiji and surrounding villages are exceptionally friendly, and they should not be targeted and punished for something they are not guilty of. I spent most of 1975-76 traveling from Coconut Grove, Florida, to several cities in the United States and eventually Japan with scores of Japanese and American musicians/environmentalists such as Fred Neil, Joni Mitchell, Jackson Browne, Shigado Izumia, Warren Zevon, Harry Hossano, John Sebastian, Governor Jerry Brown, Paul Winter Consort and a great many other concerned artists. We were known as “The Rolling Coconut Review,” and we were trying to put a stop to the BOYCOTT JAPAN, SAVE THE WHALES campaign. Eventually we succeeded. The boycott was the chosen strategy of most of the well-funded US animal welfare/environmental groups who pooled their money and took out full page advertisements in the New York Times, Washington Post, Los Angeles Times, etc. to get their boycott message out to the American public. This misguided campaign did not save any whales. However, as a direct result of the BOYCOTT JAPAN campaign, Japanese/American children were beaten up on the playgrounds of the USA and called “Jap whale killers.” (Jap is a derogatory term.) Surely, this is not a situation that we would want to create once again. I would also point out that once the boycott was ended, the environmental and animal welfare community went to work on a different strategy, succeeding in 1982 of having the International Whaling Commission (IWC) pass a moratorium on commercial whaling. This put an end to whaling by the former Soviet Union and several other countries, and at least reduced whaling by Japan, Norway and Iceland. This community continues to fight for dolphins and whales. The boycott was a diversion. The Japanese people don’t need a boycott. They need access to the information that we take for granted. 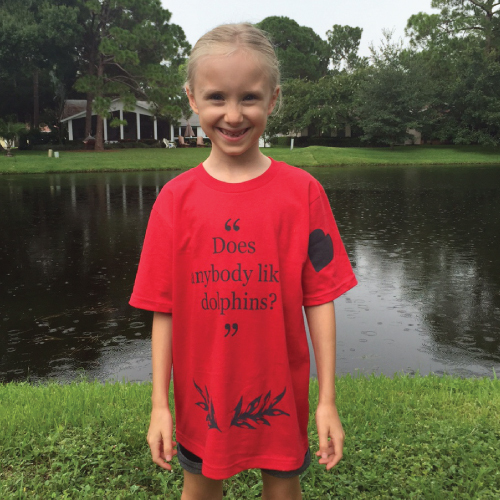 If they knew the truth about the dolphin slaughter, they would help us stop it. The fishermen who hunt and kill dolphins in Taiji agree with this conclusion. They revealed this during a meeting we had with them at Taiji City Hall in 2004. When they asked us why we had come to Taiji, we told them we wanted to document the methods used to conduct the dolphin massacres and let the Japanese people know the truth about this hunt. The fishermen’s reply was: “The Japanese people have no right to know about the dolphin slaughter. It is none of their business.” But the Japanese people have every right to know about the dolphin massacres that are carried out in their own country – Article 21 of The Japanese Constitution guarantees them that right. The fishermen in Taiji spend most of their time hiding their activities. They have erected a roof of blue tarp over the lagoon in which the dolphins are killed, to prevent us from filming the massacres. They cover up the dead bodied with plastic and butcher the dolphins in a slaughterhouse that is completely covered up. They are paranoid about being photographed while killing dolphins. They know that if the images reach the Japanese public, their days as dolphin hunters are numbered. They will not be able to find public support to continue the practice. I hereby urge everyone to approach the Japanese people in a respectful and peaceful manner. 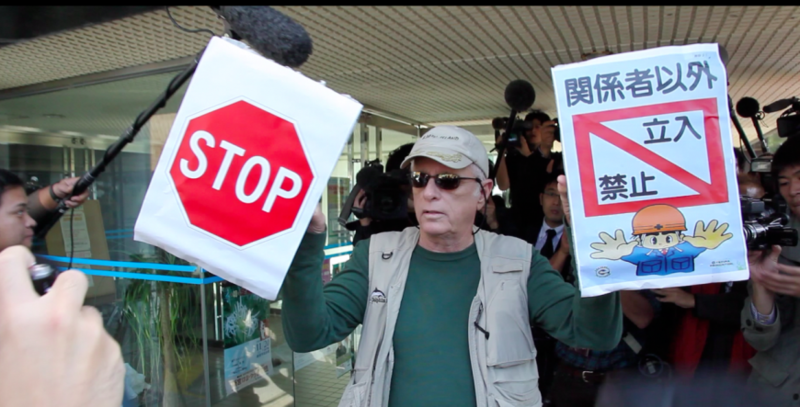 It is the Japanese people who hold the key to stopping the dolphin massacres. In order to make this happen, we need to build bridges between us, not burn them. We need to work with the Japanese people, not against them. Condemning a whole nation for the actions of a few people is simply unfair. A better strategy would be to isolate the few people who are guilty of killing the dolphins from the rest of the Japanese population who are totally unaware of the problem.